Instead, IBM staff who need to move data around will be encouraged to do so via an internal network. The decree banning removable storage acknowledges that complying with it could be “disruptive”. IBM staff were told about the policy in an advisory from Shamla Naidoo, the company’s global chief security officer. Some IBM departments had been banned from using removable portable media for some time, said Ms Naidoo, but now the decree was being implemented worldwide. IBM staff are expected to stop using removable devices by the end of May. However, he said, IBM may face problems implementing its plan. 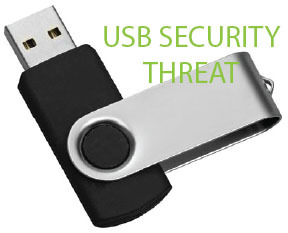 “Technically it is quite easy to control access to USB memory sticks, along with controlling what data can be copied to them,” said Mr Beaumont. Sumir Karayi, chief executive of security company 1E, said IBM’s ban was an “overreaction” by security staff who had not realised the many different ways data flowed in and out of an organisation. The ban comes just before strict European regulations covering the use of data come in to force. On 25 May, the GDPR rules are enacted, which impose heavy fines on organisations that do not do enough to protect sensitive information.